Beauty is personified by the eyes of the viewer but we can never leave a stone unturned. Our skin tone is the first thing which gets noticed. With increasing pollution and irregular temperature most of the Indians have been having dark toned hands and faces. Extra care needs to be taken to protect ourselves from it. The market is full of beauty products these days with each having their own set of specialization end expertise solutions. Do remember to check the ingredients twice before buying it. Chemicals even if mixed with fruits or other natural ingredients will still stay chemicals will surely leave an adverse effect. Even if it is not harming your skin it lowers the natural recovery ability of your skin. These days the whole world is going dry and so is your skin. With enough intake of water it decreases the oil concentration in the skin. When the skin has been hydrated it looks plumper and reduces the signs of aging. Scientific research has proved that drinking enough water provides a supple glowing skin and celebrities like Jennifer Aniston, Ellen Pompeo recommends it. You will need lemon wedges and apple cider vinegar. 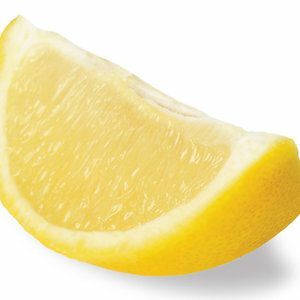 Put few drops of apple cider vinegar on a lemon wedge and rub it all around the face. Do remember to avoid your eyes. Let it stay for 10-15 minutes and stay calm. Rinse it well with water for a brighter and tightened skin. Honey tastes good and everyone loves it, so does our skin. It helps remove dead skin cells, making it appear brighter and fresher than before. Apply honey (pure form) to your skin and let it stay for few minutes. Rinse it well with lukewarm water to feel the difference. The lactic acid in milk is said to lighten the skin. If there are dark patches in your skin, dip a cotton ball in milk and apply over it. Let it dry for some time and then rinse it. You may add two spoons of Honey to the milk to improvise it. Tea is generally used as a refreshing drink and most of us are unaware of its other properties. It helps you deflate bags under the eyes while also treats the rest of the face. Brew a cup of white tea on medium heat. When the tea gets warm enough, soak a face cloth and place it over your eyes. Tea has got antioxidants and neutralizes free radicals. It may not seem that important but it is. Lack of sleep can be seen with adverse effect on skin. The skin undergoes repairing while you are sleeping. Fix your sleeping hours and make sure you have enough of it daily. However, VICCO Turmeric Cream is one such product I can rely on. My mother has been using it for years and she still has got beautiful skin. Alluremedspa is leading Cosmetic Skin Treatment Center / Skin Care Clinic in Andheri, Mumbai, India, Offering Cosmetic Skin Treatment and Hair Treatment with Advance Laser Technology.